A beauty competition for goats began on Wednesday in Saudi Arabia, as part of an auction bringing together traders and herders in the holy Muslim city of Mecca. Auction supervisor Fawzi al-Subhi said that over 170 animals are competing for the coveted title 'most beautiful goat.' He expects the winner to be sold for at least 18,000 dollars. 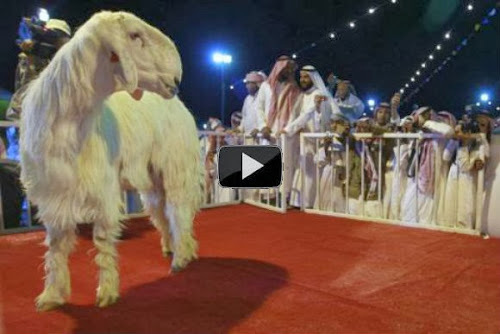 According to al-Shams newspaper, the four-legged contestants are purebred Hijazi goats, a distinct breed named after the province in which Mecca is located. Pastoralists and their flocks still roam the Hijaz region and other parts of the oil-rich Arabian kingdom. The purpose of the competition is to raise awareness about the breed, said al-Subhi.